With a proper troll bridge and a path to climb up next to this big foss, it will matter not how many waterfalls you have gone past. 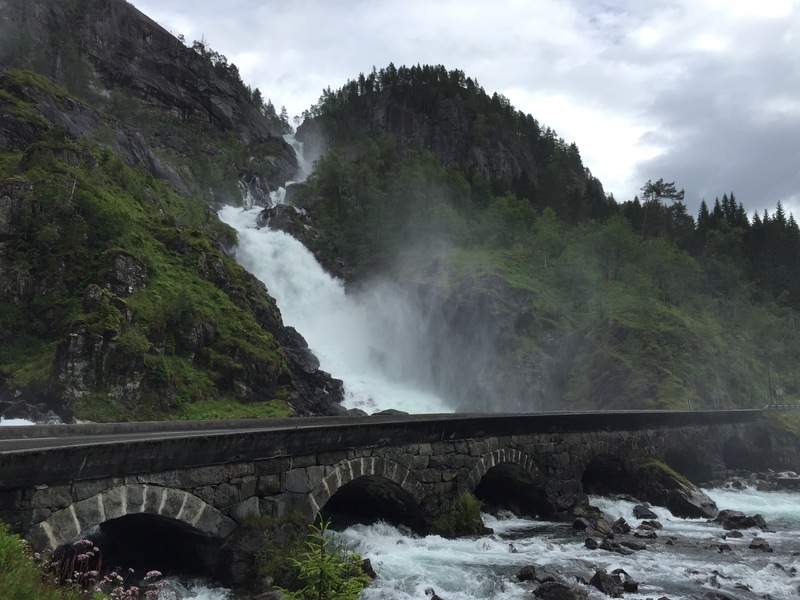 Låtefossen is definitely one to stop and take in. Once you go towards the path next to it, another waterfall will come into view. A really incredible sight of Norway. Es increíble como cada uno va definiendo sus gustos, estos paisajes me gustan más, los árboles, las plantas, las flores! !